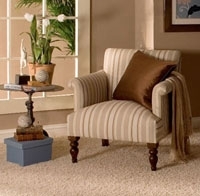 We are one of the best furniture & upholstery cleaners in the Orlando, FL area! We love cleaning microfiber in addition to many other fabrics. One question that we’re often asked is, “can my upholstery be steam cleaned”? 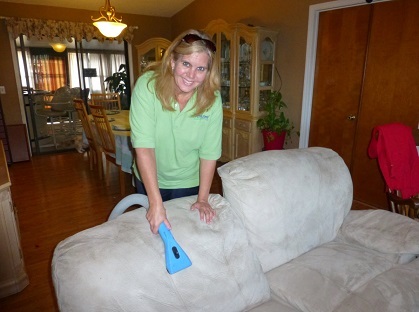 We can steam clean your upholstery provided one of the following criteria is met: 1.) there is a manufacturer’s tag listing “W” (water based cleansers) as a preferred cleaning method; 2.) you have had the furniture professionally cleaned before; or 3.) the fabric is microfiber. (Note: if the manufacturer’s recommended cleaning tag list an “S” as the preferred method we CANNOT clean it as that is referring to a solvent based cleaning method that we do not do. And yes, we love cleaning microfiber and do not charge extra (like many of our competitors do!) to clean it! 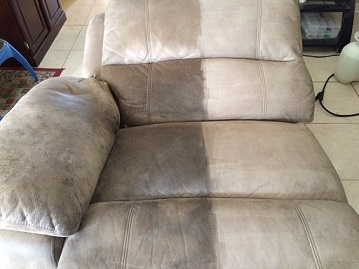 Please inquire if you are looking to steam clean your sofa, couch, loveseat, chair, sectional and ottoman. First, of course, you should gently blot up any spills as soon as they occur. Don’t RUB – this can push the spill deeper into the cushion making it much more difficult to completely remove. Second, you should vacuum or brush your upholstery once a week. This prevents grime from building up between the fibers of the fabric and will extend the life of your upholstery. Third, you should turn your cushions once a week (if they can be turned) so that they will retain their shape and wear evenly. Fourth, you should try and keep your upholstered furniture out of direct sunlight; the ultraviolet rays of the sun can fade the colors of your furniture and cause the fabric to deteriorate prematurely. You can expect us to come to your home and inspect your furniture for potentially permanent stains or damage. We will then pre-treat potential stains. 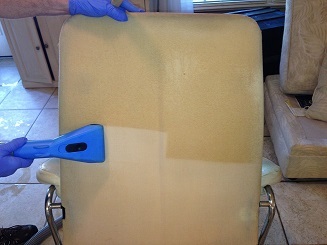 Following that, we will perform the upholstery cleaning service according to the fabric care specifications. At the end of the process, we will talk with you about the cleaning and allow you to inspect our work. Remember, using a professional steam cleaning service helps preserve your investment. Relying on an expert will ensure that the upholstery in your home receives the care and maintenance it deserves. Steam Clean My Carpets, LLC “Honest Pricing Policy”: We will quote fair prices and then stand behind those quotes. We will not use ‘bait and switch’ or high pressure tactics with our customers. We believe in “Quality Cleaning…Affordable Prices” and guarantee our services to our clients.